Thank you, Lakeshore communities, for voting us the BEST place to buy appliances, furniture, and mattresses! Bitter Neumann has served the Lakeshore with the top brands and best selection of appliances, furniture, and mattresses for nearly 100 years! Bitter Neumann is proud to be family owned, now in its fourth generation of ownership. Over the years, Bitter Neumann has grown to become the Lakeshore's largest independently owned appliance, furniture and mattress dealer. We are proud to serve generations of families. We believe in personal service, competitive prices, a knowledgeable sales team, a courteous delivery team, and factory certified technicians to provide Bitter Neumann customers with a five-star purchasing experience. Bitter Neumann has your home delivered! If you want good design, you’ve come to the right place. If you want quality, you’ve come to an even better place. If you want complementary accessories, you’ve come to the best place. And, if you want the experience of 27 dedicated company-owned locations, a select group of America’s finest retailers, and elite showrooms from London to Moscow to Shanghai and beyond, then you’ve come to the only place. Welcome to Baker. For a list of all our upcoming events please visit our website! Subscribe to our calendar. 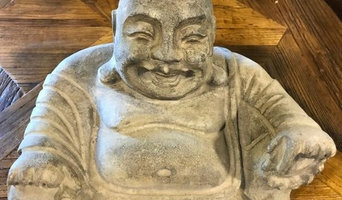 sourced with mindfulness procurred with purpose shared with intention For twenty years we have provided our clients with a beautifully curated collection of Asian antiques, home accessories, and a tasteful eye for design. We love to bring the antique into the modern day , and make meaningful connections between the East and the West. Located in the Historic Third Ward, Milwaukee, our store is designed for the collector, our industry partners, and anyone looking to update their current space. We love to show how one piece can serve many, and within any type of décor. Tom has dedicated much of his life to mastering traditional woodworking methods. He creates carefully hand-crafted furniture from a selection of superior hardwoods. He evaluates the wood for grain-pattern, texture, density, balance and color, with the trained eye of a master craftsman and the heart of a true artist. Careful attention to detail ensures a superior product that will grace your home with a simple and lasting beauty. Thomas William Furniture will last for generations. For 40 years La Lune Collection has designed and crafted in Wisconsin the finest rustic furniture for commercial and residential installations, with over 600 designs of seating, cabinets, tables, beds, and more. La Lune Collection is the rustic furniture line favored by interior designers and architects for over three decades and graces the finest homes and most notable commercial installations in North America. Ralph Lauren, Marriott Hotels, Radisson Hotels, Ritz Carlton, Four Seasons, and Disney Resorts are just a few of La Lune Collection’s loyal clients. Warren Barnett Interiors offers much more than just furniture – we provide the time, talent, and resources essential to creating extraordinary surroundings. Whether your style is quite classic, thoroughly modern, or a unique combination, we create interiors that will beckon your family home, leave an impression on guests, and help make everyday living an experience to be savored. Timeless Wrought Iron is a family owned wrought iron furniture and decor store. Everything we have to offer is made of iron or related materials. Whether you are looking for an accent piece or a main focal point, we offer a wide range of furniture and accents pieces. Four generations of furniture making experience uphold a simple family tradition—deliver more than the customer expects, for less than they expect to pay. While customer tastes have evolved from library tables and piano benches to Flat Screen TV consoles and recliner wedge tables, some furniture features never go out of style—a silky smooth finish, and sturdy, wobble-free solid wood. At Leick Home, we know TV cabinets, coffee and end table sets, home office, counter and bar stools, and stand-alone accent tables inside and out. 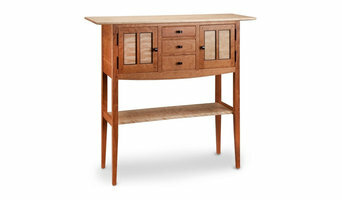 Building real wood furniture designed for your home, and built to last…for more than 100 years. 5253 Design Collective makes custom design easy! We are artisans who create custom furniture, fixtures, and home accessories, With an emphasis on woodworking, our design team and artisans incorporats any materials necessary to complete the perfect finished product. From earthen materials like metal, stone, glass and wood to more manufactured materials like polycarbonates, plastics, and upholstered fabrics, we’re confident that we can bring your unique vision to life. At Joel's antiques we manufacture reclaimed and rustic shelving and fireplace mantels. They are each and everyone solid wood, no fillers or MDF. The species of wood varies, but is all indigenous to Wisconsin. Our products are high quality and hand made. They are made to last for generations. For more than three generations, the family of the Oriental Rug Gallery has distinguished themselves as international trade specialists and quality product retailers in the rug business. We take pride in offering you the highest quality products and the best quality service at the most reasonable prices. Our customers know us to offer the best customer service and experience, because this business is our passion and that love for what we do resonates with everyone we work with. We carry all styles and designs of rugs, such as Contemporary, New Transitional and Designer, Traditional, Tribal, and Antique rugs. All styles, all colors, and all sizes. Choosing the right rug is truly a process. Our hand- selected inventory of various sizes and unique designs make this process an enjoyable and pleasant one. We look forward to assisting you in the journey of selecting your perfect rug. 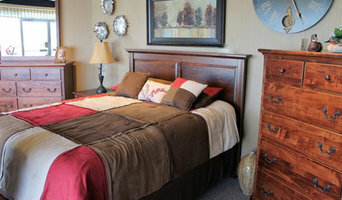 Let West Bend Furniture & Design help you with your next home project! Our interior designers are skilled at helping you select the right furniture for your home, from the proper scale, to the perfect fabrics to pull your room together , we will be with you every step of the way. Or let our desingers schedule a design consultation , re design your existing space, do custom window treatments and shades or home renovations. Designer and maker of fine art and furniture using locally sourced wood and steel made in the USA. Specializing in live edge, mid-century modern designs and complicated inlay work. Start your research right here on Houzz. Read through professionals’ profile pages to find out important details, like how long a manufacturer has been in business. Look at reviews by design professionals and find out which furniture makers offer the best customer service. Are you looking for condo-size furnishings or working with an oddly shaped room? Necessity is the mother of invention, so opt for a custom piece made by an experienced Wisconsin furniture maker. Here are some related professionals and vendors to complement the work of furniture & accessories: Interior Designers & Decorators, Artists & Artisans, Kids & Nursery, Closet Designers and Professional Organizers, Bedding & Bath. Take your time on any buying decisions. If contemporary is your style, don’t buy something traditional because it’s on sale. Many Wisconsin home furnishers offer interior design consultations or room planning guides to get you started. Whether you decide to work with a home decor specialist or to become your own expert, it’s important not to rush the furniture-buying process. 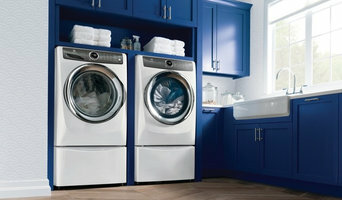 Visit plenty of Kohler, WI showrooms and stores so you can feel comfortable with your purchase. Find furniture and accessories manufacturers, showrooms and retailers on Houzz. Narrow your search in the Professionals section of the website to Kohler, WI furniture and accessories, then choose the nearest metro area for showrooms and retailers. Or you may want to look through Wisconsin photos to find designs you like and contact the furniture manufacturers and showroom galleries directly.